I’ve been struggling to install NetBeans 6 on my openSUSE 10.3. The installer would startup alright but would crash soon after displaying the bug-buddy dialog. java: xcb_xlib.c:52: xcb_xlib_unlock: Assertion `c-&gt;xlib.lock' failed. After googling the above I found the following bug – http://bugs.sun.com/bugdatabase/view_bug.do?bug_id=6532373. 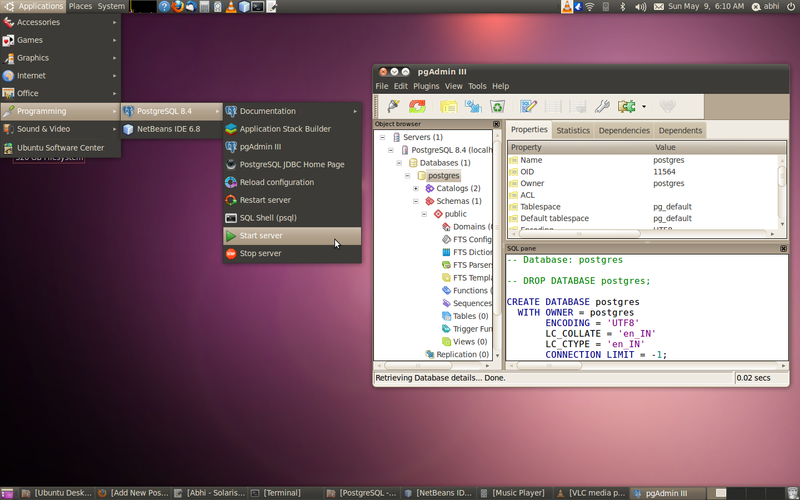 After implementing the workaround, I was able to install NetBeans and run it. 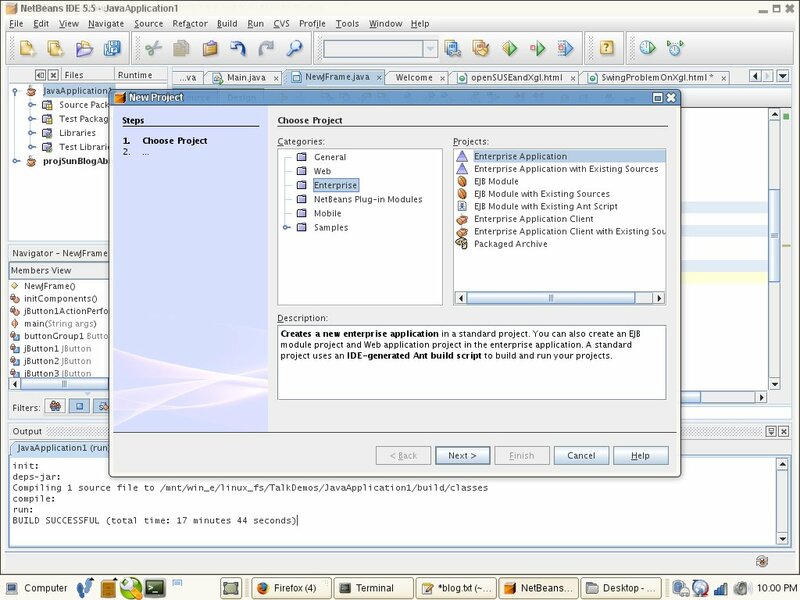 However, once I upgraded my JDK to Java 6 update 4, and executed NetBeans, the splash screen would appear for a brief moment and then it would crash displaying the bug-buddy dialog. /usr/share/themes/Chlorophyll/gtk-2.0/gtkrc:47: Clearlooks configuration option "menuitemstyle" is not supported and will be ignored. /usr/share/themes/Chlorophyll/gtk-2.0/gtkrc:48: Clearlooks configuration option "listviewitemstyle" is not supported and will be ignored. /usr/share/themes/Chlorophyll/gtk-2.0/gtkrc:49: Clearlooks configuration option "progressbarstyle" is not supported and will be ignored. /usr/lib/: No such file or directory. Following is the bug report that got generated. I tried uninstalling/installing Jdk6u4 a number of times – manually, RPMs, YaST etc. to no avail. Since I was unable to understand the bug report, I decided to uninstall bug-buddy in the hope of getting more meaningful information on the terminal. 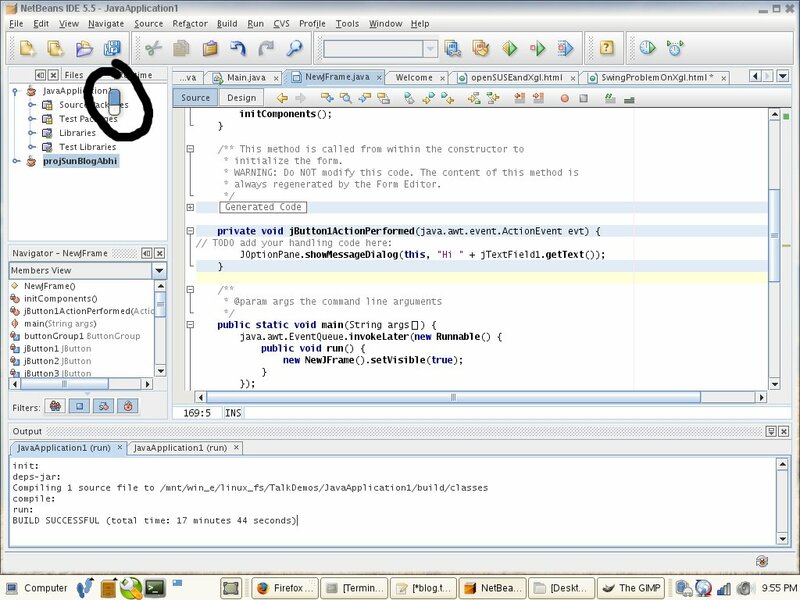 The moment I unistalled bug-buddy, I was able to run NetBeans using Java 6. After the operation, 2.0 M will be freed. As it turned out bug-buddy wasn’t much of a buddy in this case. 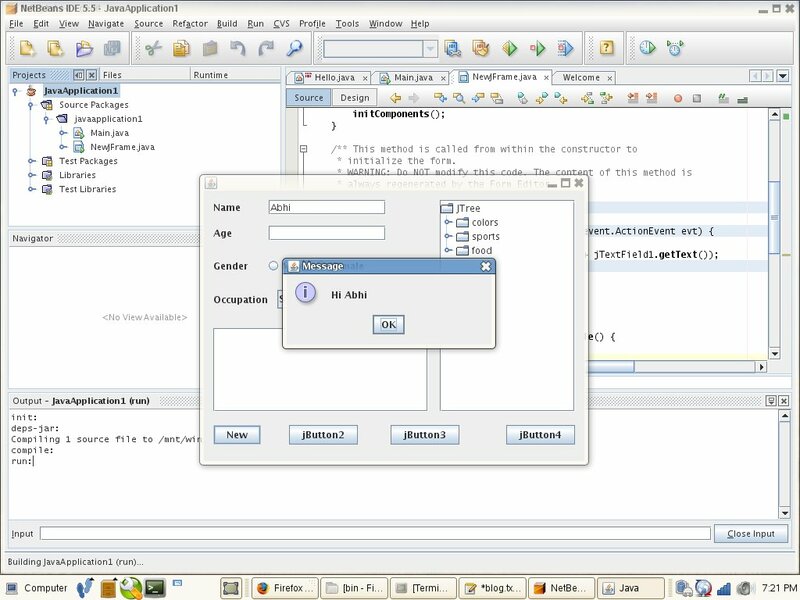 I installed NetBeans 5.5 on openSUSE 10.2 and found out that Swing applications are not rendered properly. The installer dialog itself appeared like an icon and I had to resize it. The IDE itself was either appearing as an icon or it would scale past the screen size. 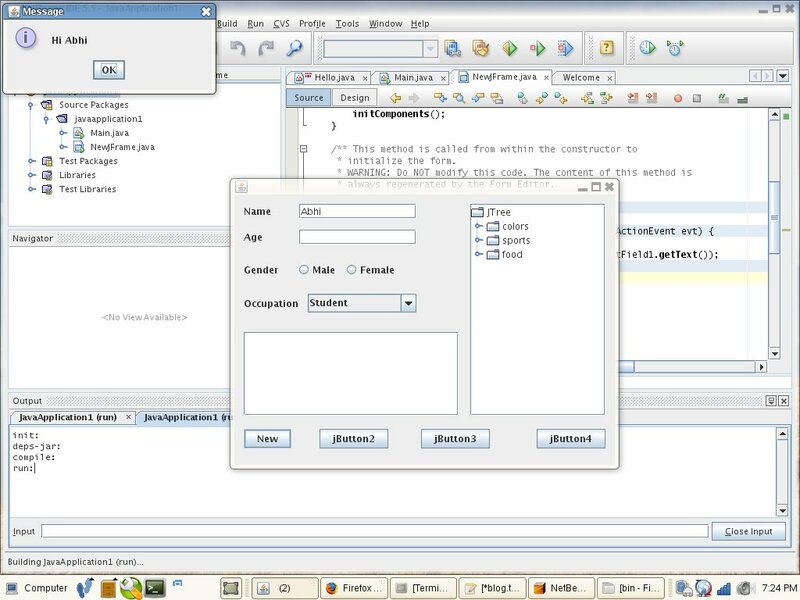 The “New Project” dialog (or any window/dialog for that matter) also displayed the same behaviour and were not appearing in the centre of the IDE. I created a simple swing GUI application and realized that the JOptionPane message dialog was also not appearing in the center. I checked if I was using a very old JDK and found that my default JDK was – Java 6 build 105. Many hours later (sigh) I found out that Swing applications have rendering issues with Xgl. Everything worked fine once I disabled XGL. But having got used to the cool way of working using Xgl I just couldn’t keep it disabled for long. Fortunately, this bug seems to have been fixed in Java 6 update 1. So I downloaded it and everything worked like a charm.